I think the Avatar already existed before people started bending; and that in that time, there were no such boundaries as dividing nature into four elements. I think, back then, the Avatar was able to bend every kind of matter in the world. In that time, the Avatar would have probably been some sort of spirit, not yet taking on human form, like Avatar Yangchen mentioned in the Spirit Escape game. But when the Avatar started reincarnating into humans, that brought human limitations; as in, a clear line between the elements. well...the chicken or the egg... considering i have two pet chickens... i should know. Well, if it started with the egg, it would die several minutes after being created on account that eggs need mother hen's heat to keep them alive. If somehow it did manage to survive, it would either be a hen, or a rooster, therefore the species would quickly die out. If it started with the chicken, it would either be a hen, with which it would lay eggs, but none would be fertilized, and therefore... quickly die out. 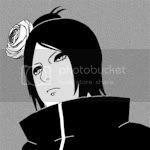 If it were a rooster, well... it's a rooster... it doesn't lay eggs.... and it would once again... die. And so we come to the conclusion that for the chicken species to continue... It started with a hen AND a rooster. Im sure in a subliminal way... that answers this question. so, it started with the benders? Is that your atla connection? Hey, seeing as a lot of this discussion involves quite a bit of reference to the Avatar, does anyone think that the chakra stuff has a play in it too? The only person we know of who needs to be worried about having open chakras is the Avatar. It is apparently the ultimate connection of the spiritual and the physical. Could this have anything to do with how the Avatar was first discovered at the beginning? I agree with that the avatar came first as a spirit. It would make sense. As for the cycle of bending, I would refer to the cycle of the avatar. Actually, according to evolutionary theory, the egg came first since reptiles came before birds and reptiles laid eggs. So the first chicken still had to come from an egg. Under the theory of intelligent design it makes more sense to say the chicken came first. God probably made Adam a full-grown adult who later had kids. It makes sense to think that God made the first chicken full-grown and then it began to lay eggs. So the beginning depends on how the entire universe started, to be honest. Interestingly enough, the question of where bending comes from also depends on how everything has come into existence. Last edited by Pleh on Fri Jul 18, 2008 2:18 am, edited 1 time in total. I believe the spirits came first and created the humans. humans copied and learned from the nature. thats how bending was created and then the spirits send the avatar on earth to assure that no bending or civilization would be stronger then the other. Quit getting off track and obnoxious. This thread is meant to be an intelligent discussion, not a contest for whose reply is wittiest. Originally, my intent was to spark interest for where the cycle--water, earth, fire, air--began, not where the avatar originated (that is another thread). How, then would a cycle begin? Unless, then, the origin of the avatar determined the beginning of the cycle. Assuming the avatar began in water, the cycle moved from there. We cannot dismiss the importance of the Spirit World and its role in the determination of bending and the cycle of bending. How the benders learned to bend is not the question here for we know how all four nations began, but we can say they perhaps learned as a gift from the Spirit World in what may be a predetermined cycle. As some believe God determines fate, also could the Spirit World have determined the cycle of the four elements for the avatar. The lion-turtle told Aang that, before people bended the elements, they would bend souls. This by no means tells us everything, but it's probably the clearest look back at the beginning that we have. Guh, I wish there was more information than that. Bending souls tells us nothing about the origin without knowing how it works. If we were told the history behind what looks like an evil method of control, we may learn more about bending. All we know is how the people learned to bend the element, but why begin with bending a soul? I take it you haven't seen the episode yet. I don't know how to tell you without giving the very end of the series away. Let's just say that it's probably how people were enabled to bend in the first place. I suspect that the Avatar would soulbend in order to give people bending back in the beginning. Later, they either forgot how to bend the elements or they were able to but didn't know how without seeing someone or something else doing it. pleh wrote: I take it you haven't seen the episode yet. I could barely hear what the lion turtle was saying, and I think I spaced out anyway. But, then, where did the cycle begin? Regardless of the origin of bending, the point of this thread is speculation on how and where the cycle started. Was is some arbitrary decision on the part of the avatar, or perhaps relevant to the geographical locations of the nations? The main metropoli for the Water Tribes are the poles. By looking at a map of the world of ATLA, we can move clockwise from the north pole and see a circle, or cycle, of the nations: water, earth, fire, and air. But what's to prevent your geological circle from starting somewhere other than the poles or from going counter-clockwise? I always thought the first Avatar was an Airbender. Airbenders are the most spiritual of the four nations and would be most likely in my mind to produce a spirit which sought to bring peace and harmony by trying to understand the cultures and spirituality of the other nations. Why did it choose water then earth then fire? That seems to me to be following the path of increasing aggression within the cultures. The chicken/egg theory can bounce back and forth. If you say the egg came first then someone will say "but who laid the egg?" and if someone says the chicken came first someone will say "but how was the chicken born?" I'm really not sure what came first cause noone can be 100% sure, unless your god and you have all the answers hah. oh and pleh I'm pretty sure the first avatar was a waterbender. Remember the avatar cycle....water..earth..fire..air. Seems like water came first. 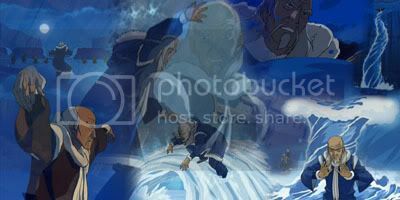 And considering the first benders of the elements kinda proves the first avatar was a waterbender. the first earth benders were badger moles, first fire benders were dragons, first airbenders were the airbison and the first waterbender was the moon. Kinda obvious the moon existed way before any living creatures like badger moles, dragons and airbison. How does the early presence of the Moon guarantee that the waterbenders learned bending first? The waterbenders could easily have discovered waterbending after the other elements found their own bending. They could have been slow to the pickup. I'm not saying they were. Just that they could've been for all we know. The next thing is the Avatar cycle. When did we hear that water came first? All we really know is the order, not where the order started. It could have been air, water, earth, fire. Or water, earth, fire, air. Or earth, fire, air, water. Or fire, air, water, earth. Air, water, fire, earth makes most sense to me as it has the pattern of most passive to most aggressive by culture. It's makes the most sense. Like I said the moon (an entire planet) definetly came first before living creatures. Remember what yue said: "The legends say the moon was the first waterbender. Our ancestors saw how it pushed and pulled the tides and learned how to do it themselves." So who knows how far back the "ancestors" went. Maybe even close to the first humans. And if the moon was the first waterbender, then water bending definetly came before the other elements. Unless there is a dragon, airbison or badger mole that is older then the moon lol. That is the most obvious reason why waterbending came first. Last edited by WaterBending_Monk on Mon Oct 06, 2008 12:43 am, edited 1 time in total. Actually, even if they weren't slow to the pickup, even if they came first, there's no guarantee that they had the Avatar first. It could be that they knew waterbending long before the other Nations knew their bending forms, but, without the other four nations worth of bending styles and cultures, there wouldn't be a need for a powerful arbiter and necessity is the mother of invention. Until the other Nations discovered their bending abilities, the Avatar wouldn't be needed and probably wouldn't be assigned by the Great Spirits to be an Arbiter among a people of one nation. It seems logical to me that the Avatar would be born out of the first great conflict of the Four Nations. Kind of like the League of Nations was born out of World War I. Once all Four Nations are already there and already bending, there's no reason for being the first one there to be an important issue in determining the home Nation of the first Avatar. But why do you doubt it would take hundreds of years? We already know that, before the era of the Avatar, Soulbending was known and used. But why could this "era" not have lasted hundreds of years before the Four Nations as we know them were born? lol, seems like you like to use wikipedia pleh. But we're not talking about the state of the moon so try to stay on topic. My point was that the moon existed before creatures existed. (Like I said in one of my previous posts, there definetly wasn't a badger mole, dragon or airbison older than the moon.) That right there proves waterbending was most likely the element to be practiced first. And since the moon was the first waterbender then waterbending did come before the other elements, that's a givin. The real question is how many years did it take for creatures to come into existence after the moon was "created" or came into play? If creatures like airbison, dragons and badger moles didn't exist for thousands of years after the moon then the early humans had a lot of time to master waterbending. With waterbending being the first element to master then it seems like a waterbender would have been the first avatar. Just makes the most sense. Even though there is no guarantee that they had the first avatar it definetly seems likely, considering the long existence of the moon. And also, it seems like the spirits play a big part in destiny and peoples fate. If the moon existed for that long, maybe the moon spirit, (possibly one of the oldest spirits considering the long existence of the moon), made sure one of the earliest waterbenders would eventually master the other elements, making them the first avatar. Last edited by WaterBending_Monk on Tue Oct 07, 2008 7:53 am, edited 1 time in total. Actually, I learned that stuff about the Moon in my astronomy class at college two semesters ago. That's why it irks me to hear you call the Moon a planet. But you're still making some strong assumptions that I don't see justification for. And since the moon was the first waterbender then waterbending did come before the other elements, that's a givin. No, its not really given. Remember that the sun is the perfect fire. Perfectly in balance with the other elements. If the Avatarverse is like ours, the sun had to come before the planets and their moons. If you go strictly by the Spirits and say their world is totally not like ours, it still doesn't make sense to say that the Moon came before the Sun. They had to at least come at the same time. Jeong Jeong described the Sun as the perfect Fire as it was in balance with the other elements. The true masters of Firebending were the sun warriors. Yes, they learned from dragons, but they learned also from the Sun. In fact, seeing as any dinosaur similar to dragons would likely be cold-blooded and need the Sun's heat to have the energy to get up in the morning, it makes sense to think that maybe Dragons learned to bend the energy that initially only woke them up. In any case, the Sun either existed before or at the same time as the Moon. So, by your logic, the first human benders were either the Firebenders or the Waterbenders followed quickly by Firebenders. But even if they had been around for centuries before the Avatar, there's no reason the Avatar couldn't be born into another Nation first. You say it makes most sense for it to come into the oldest nation, I don't get why that would be. It doesn't seem to me that whatever great powers made such a decision would be concerned with which Nation came first or which benders were most advanced. Pleh it is a givin. I understand the sun might have came before the moon but the sun wasn't the first firebender. That's the loophole in your argument. A dragon was the first firebender. Firebenders learned firebending from the dragons, not the sun. Yes good point that the sun is perfect fire and the true masters of firebending was the sun warriors but the fact is that the first firebenders learned from the dragons. And the moon existed way before the dragons. And I know firebenders can get there power from the sun and from comets but that's still not where firebending came from. The moon was the first waterbender and the moon existed before any living creatures. So waterbending definetly came first like I said. And I don't see why you don't see if waterbenders were around for centuries until the avatar that the first avatar was born a waterbender. If waterbending came first and there is a chance the first early humans learned waterbending first then there definetly is at least a good chance the first avatar was a waterbender. But still a very good point about the sun coming before the moon. Last edited by WaterBending_Monk on Wed Oct 08, 2008 1:51 am, edited 1 time in total.